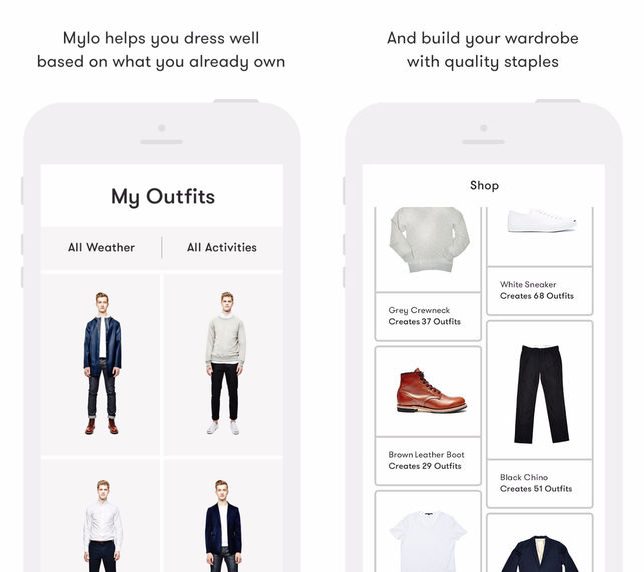 Mylo is a men’s fashion app that suggests outfits based on the clothes you already own. Pick the items that are similar to your clothes and shoes and it will suggest outfits based on style, weather and occasion. 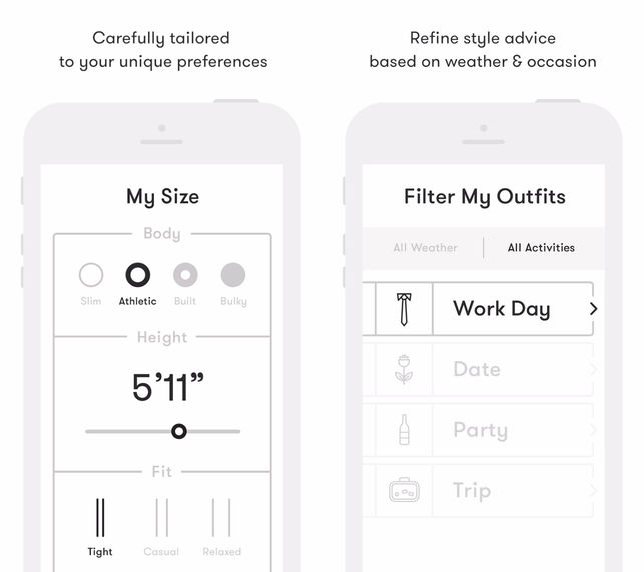 You can also consult a stylist and buy clothes within the app.